The In-Sight 8000 series ultra-compact, standalone vision systems deliver industry-leading vision tool performance at PC speeds, all in the micro form factor of a typical GigE Vision camera. Measuring just 31 mm x 31 mm x 64 mm, all In-Sight 8000 systems feature Power over Ethernet (PoE) and are the best option for space-constrained production lines. In-Sight Explorer™ software with the intuitive EasyBuilder® interface guides users through step-by-step directions to set up simple to advanced applications. In-Sight spreadsheet provides greater control and ability to customize application data. Field-changeable lighting and optics provide users with ultimate flexibility to customize the system for their application. 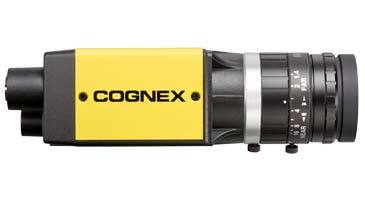 Full suite of powerful Cognex algorithms and vision tools help you solve applications easily and reliably. In-Sight spreadsheet provides ultimate control through direct access to vision tools and communication options.